Information and solutions for black mold, mildew, and black mold fungus. Compare our Black Mold Ozone-ator with Alpine Air Purifiers. We offer a better quality at a lower price. Compare their $669 against our $499. We offer heavy duty ozone glass filter plates. 3 wood color finishes to choose from. Our Industrial comes with industrial strength metal housing. Perfect for the home or office. up to 5000 sq. ft. Instead it re-creates the same process that Mother Nature uses to keep the air fresh and clean. It generates the negative ions that nature uses to clear the air of dust and other particles. It also produces activated oxygen to remove odors without the use of fragrances. It helps to break down mold, mildew and other pollutants at their source. The Ultimate Air Cleaner for Professional Environments. Remove strong odors from unoccupied spaces (such as a classroom ) in a short period of time. Deodorizers simply mask odors and filters only capture some of the airborne particles. "The #1 Pollution Problem in America is Indoor Pollution"
Modern buildings are constructed so tightly that odors and pollutants are trapped inside. Natures own cleansing process, which uses both activated oxygen and negative ions are left outside. Dust, pollen, molds, mildew, bacteria and viruses can fill the air in our living spaces. These can cause odors, irritation and allergic response. Fumes from paints, cleansers, carpets, pressed board, fabrics and other chemicals are also breathed in daily by you and your family. According to the EPA, many pollutants in the typical home or office are at least 10 times higher than in outdoor air. The average American spends 90% of their time indoors. Have you ever walked into someones home and noticed an odor that you are not accustomed to? Odors are constantly created in the spaces where we live. Finding a simple solution to clean air is not always easy. As air passes through a filter, small particles that are floating in the air are trapped. This is helpful in reducing particles such as dust, pollen and dander but is only part of the solution. Most gases and odors pass right through even the best HEPA filters. "We get 60% of our energy from the air we breathe." Our state of the art Springair Cleaner generates both negative ions and activated oxygen for your home or office. Before the SpringAir was introduced, we looked to Mother Nature. Now the SpringAir provides the same process as Mother Nature, reducing odors and purifying the air indoors. 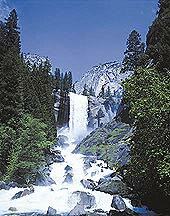 Waterfalls are a good example of nature creating negative ions. Negative Ions cause dust and other particles to fall out of the air. 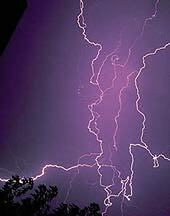 Most indoor particles that are airborne tend to be positively charged. Negative ions will give some of the particles a negative charge. The positive and negative particles then combine with each other, become heavy and fall to the ground. Nature is constantly creating negative ions to clear the air. Some examples are waterfalls, waves crashing on the beach and changes in the weather. The SpringAir accomplishes this natural process by employing a special negative ion generator. Activated Oxygen breaks down odors and other pollutants at their source. when used while the room is unoccupied. Copyright 2011 - Black Mold Ozone-ator All rights reserved.